I hear lots of people say “I wish that I had time to sew for myself.” Finding, err making time to sew for ourselves can be so hard. 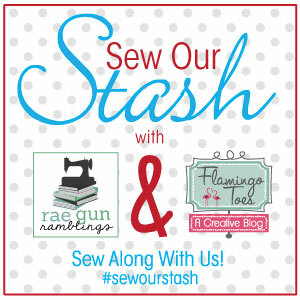 I know I’ve said it before but I love the accountability of doing this monthly Sew Our Stash post. In the busyness of life it’s so easy to let things get pushed aside. For me knowing that I have to post something the the last Thursday of the month “makes” me do it. If you don’t have a blog (or don’t want to do SOS posts) but want the same accountability I’d love to give it to you. You can make yourself comment on my SOS post every month and tell me what you made, or if you want to share your pictures you can post them to my facebook page, I’d love to share other people doing the Sew Our Stash thing along. And don’t forget you’re always welcome to use the #sewourstash hashtag on Instagram. 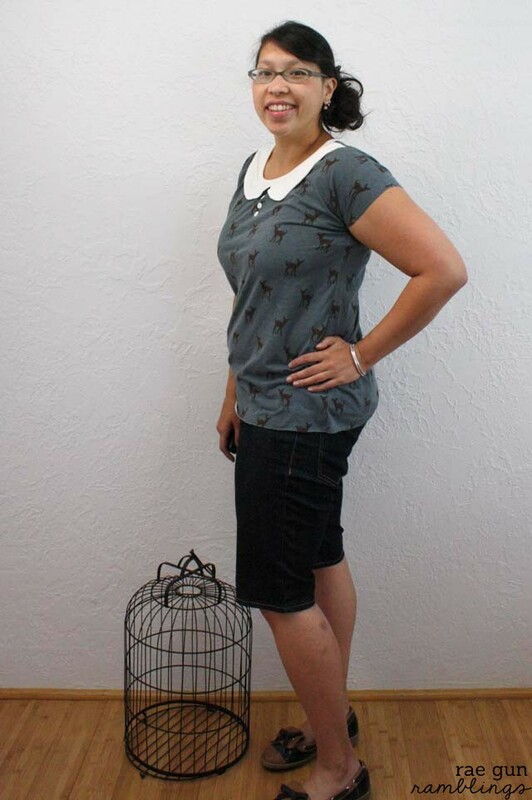 This month I sewed an Easy Tee from It’s Always Autumn’s free Peter Pan Easy Tee pattern. The shirt came together SUPER quickly and was very easy to put together. I like it but if I was the type of person to unpick parts of projects or when I make another one (and you bet I’ll be making more) I’d do a couple things differently. I’d use longer binding for the neck part since even after pulling and ironing it still bunches a bit. And then next I’d split the binding so the binding that goes around the back matches that fabric. I just don’t love the white ring around the back. But I’m a super lazy sew-er so there’s no way I’m unpicking that. 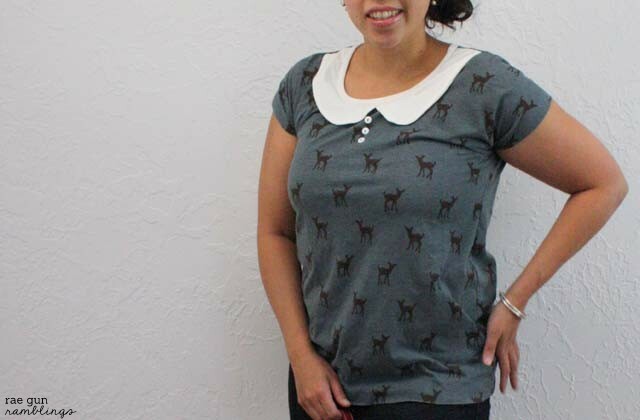 If you want a fast easy sewing project I definitely recommend this shirt. 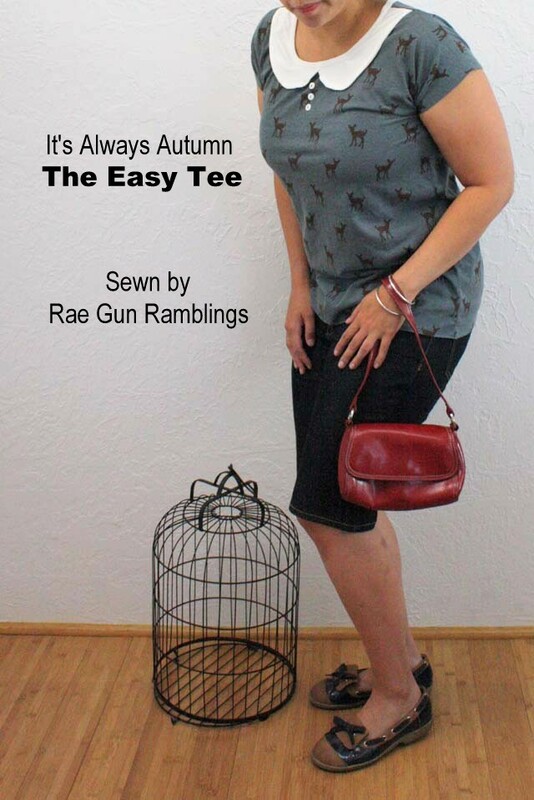 Also Autumn has a bunch of different versions of this Easy Tee which are equally fast and cute! 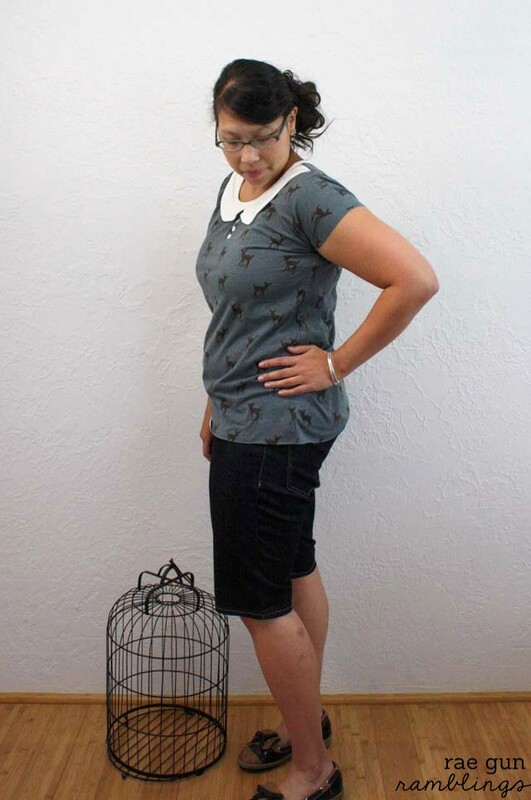 And don’t forget to hop over to see Bev’s Sew Our Stash post for the month she’s sharing a ton of great skirt tutorials since she’s in the the middle of moving craziness. 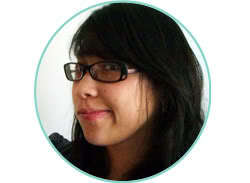 Oh so cute on you!